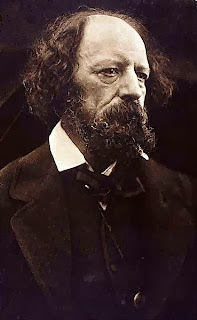 Alfred, Lord Tennyson (1809–1892). Morte d’Arthur. A barge with black sails bearing three black robed queens with crowns of gold carried away the dying King Arthur. Will they bring him back and fulfill Merlin's prophecy? And the third time may prosper, get thee hence. “My end draws nigh; ’tis time that I were gone. Before. His own thought drove him, like a goad. Mixed with the knightly growth that fringed his lips.